The 2005 Upper Deck SP releases are some of my favorites of the decade. 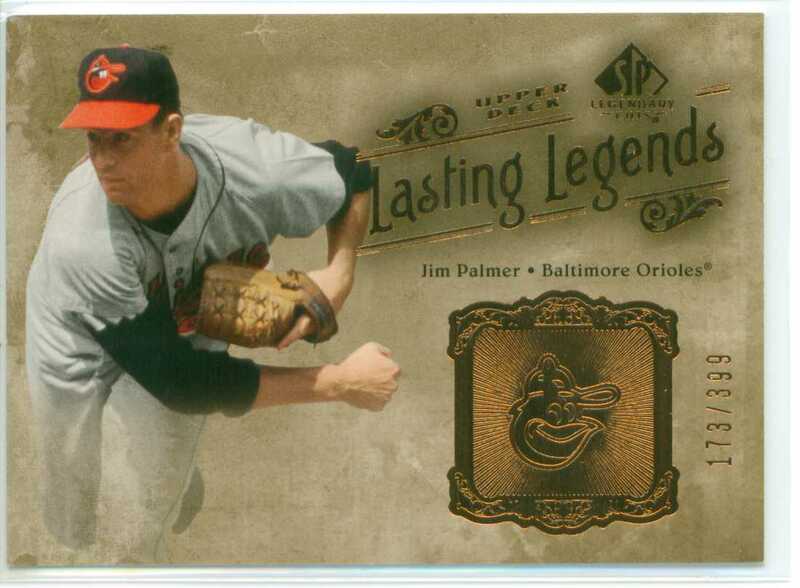 I am a bit embarrassed that it took me this long to grab a Jim Palmer card from that set. But, I have finally obtained one. And she looks great. She’s also serial numbered as 173/399. I love the images that Upper Deck used for this set of cards. And all of the Gold accents give the card a nice sense of royalty. A great addition to my Jim Palmer collection! So, while I am not the kind of collector to pick at critique each and every newly issued baseball card that I come across, but I do expect the card companies to maintain the integrity of the game, even if it is just on a chunk of cardboard. So, while I do like the look of this Gary Carter baseball card from the 2012 Topps Archives set, it is inaccurate. 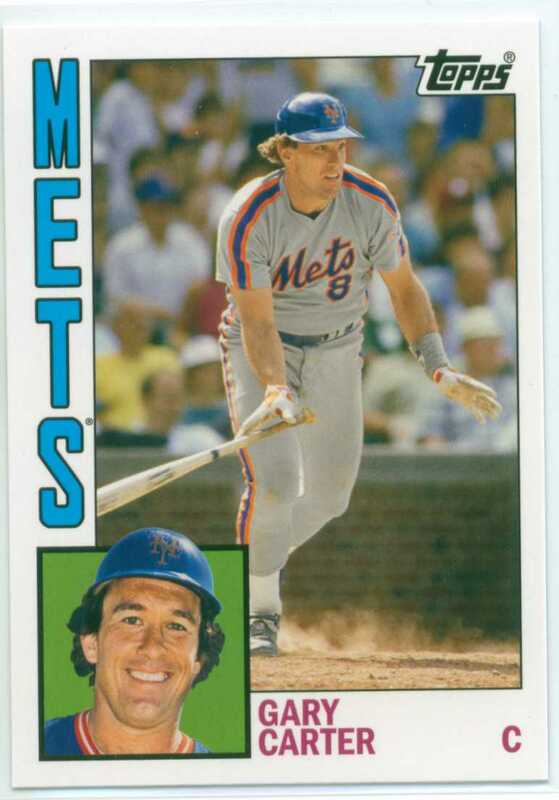 The card features the 1984 Topps design, but in ’84 Gary Carter played for the Expos. He departed them after the 1984 season, but he did spend every minute of it his Expos uniform. 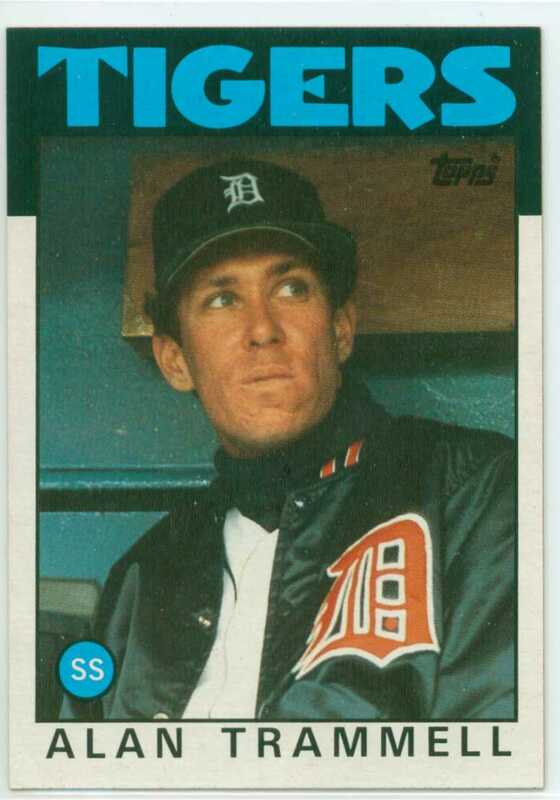 The 1986 baseball season marked Alan Trammell’s tenth season in the major leagues. And he put together another solid campaign too. The numbers – .277 batting average, 159 hits, 33 doubles, 7 triples, 21 home runs, 107 runs scored, 75 RBI, 25 stolen bases, and 269 total bases. 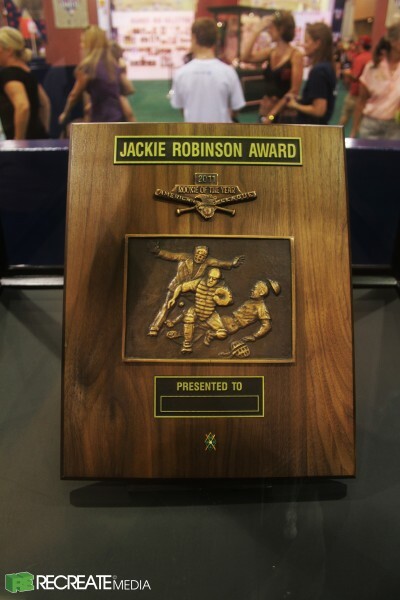 Since becoming an annual award, the team with the highest number of Rookie Of The Year Award winners to enter the Hall of Fame is the San Francisco Giants. The winners: Willie Mays (1951), Orlando Cepeda (1958), and Willie McCovey (1959). The second place team is the Cincinnati Reds with Frank Robinson (1956) and Johnny Bench (1968). BALTIMORE — On the 17th anniversary of the night Cal Ripken Jr. passed Lou Gehrig and broke the record many thought couldn’t be touched, the Orioles paid tribute to their former shortstop. 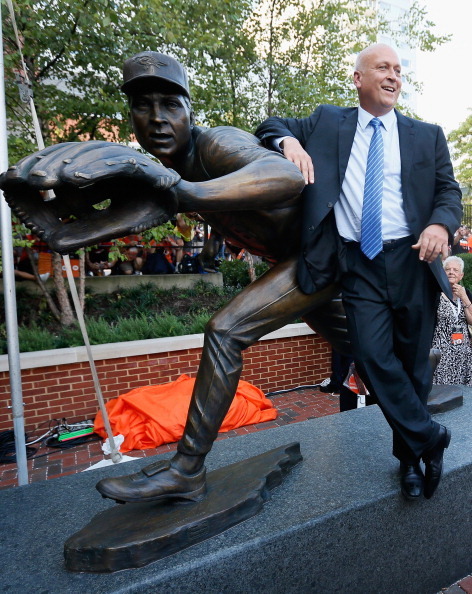 The Orioles unveiled a bronze statue of Ripken looking very much like he was trying to snag a grounder deep in the hole. He’s the fifth Orioles great to get a statue made in his honor as part of the Orioles Legends Celebration Series this season. Frank Robinson, Earl Weaver, Eddie Murray and Jim Palmer’s statues were unveiled earlier this year, with Brooks Robinson’s coming Sept. 29. Toby Mendez created the artwork. Though the fans cheered Ripken once again, just as they did on the historic night in 1995, there was a piece of delicious irony this time around. Even though it had been planned many moons ago, this celebration took place before a game that meant so much, something that hasn’t happened at Camden Yards in a long time. The Orioles were battling for first place with the Yankees in the AL East, and Ripken loved it. Ripken, as he usually does, tried to deflect the spotlight and praise away from himself. He talked about what the Oriole Way used to mean and why, on a night when they were fighting for first place once more, it meant so much again. However, it also had a lot to do with Ripken, and since it came on the anniversary of his breaking Gehrig’s record of 2,130 consecutive games played. The Orioles did a few things to remind fans of what happened that September night in 1995. The team placed an “8” on the red brick warehouse wall where the numbers of Ripken’s Iron Man streak kept changing each game, until finally reaching 2,131 on that historic night. The changing of the numbers every night when a game became official grew into a signature moment for The Streak. In a ceremony before the game, Billy Ripken talked a bit about The Streak and his brother. The former Orioles second baseman made a few comments to those who felt his big brother was more interested in chasing Gehrig than getting wins. Today’s Orioles still have a lot of respect for Ripken and what he accomplished over that long stretch. Manager Buck Showalter played against Ripken in the Minor Leagues. He managed against him in the Majors, and the skipper has a very strong memory of the big shortstop and how Ripken went about his work. That was the theme most people brought up when speaking about Ripken before the game. Louis Angelos, representing ownership, listed a number of Ripken’s accomplishments over the years, and marveled at how he just kept doing it year after year. “His professionalism and his resilience have made Cal Ripken Jr. a model of consistency and truly a baseball player for the ages,” Angelos said. Ripken admitted later that the statue impressed him. He said he took pride in his success at shortstop, basically being the first big player to find real success at the position. Ripken opened the door for a different type of player to be there. And it was unveiled on a night the Orioles were fighting for first place. Even better.